Seoul is simply one of the world’s most magnificent cities - perhaps so magnificent that even its far from cheap cost of living becomes almost insignificant for expats who see their future in it. Home rentals in Seoul will depend mainly on the location and size of the property. Single tenants looking for a place in the city center will find one for about 1,085,944 - 495,000 per month with the cost decreasing as one seeks out similarly sized apartments in the further outskirts of the city. For those who prefer traditional home settings with a garage and a backyard, a 500,000 won - rent is decent but this can go up to about 800,000 won in luxurious neighborhoods. Expats who come to Seoul on an employment contract will usually have their rent shouldered by their employers. Others, however, have to take out rent on their own. It is usual to be asked to pay a deposit of 5 million won which does not count as rent but will serve as key money to be returned after two years. Those who cannot afford the asking price can also pay it through monthly installments together with the rent. At the end of two years, the accumulated key money will be returned. While at least half of Koreans are agreeable to this arrangement, most expatriates take a while to get used to the idea. While the law once banned non-Koreans from owning real estate property in Korea, this has changed today. Expatriates are now able to legally purchase real estate, but they normally have to deal with prices that are way higher than what Korean citizens pay. The price difference can be reduced with the help of a local agent, but buying a house in Seoul is still something most expats contend with. An average apartment, for example, can easily cost about 390 million won and can go up to $2 million in any of the upscale neighborhoods. Many foreigners find this an unrealistic amount, especially those who have no credit history in the country. In Seoul, business users are charged a higher rate unit of consumption of both electricity and tap water compared to residential users, but a usual basic monthly utility bill for an average household runs about 50,000 - 70,000 won including both gas and heater. Households with landlines will have to add 5,200 won on their list of monthly expenses, excluding a 60,000 won installation fee, and about 30,000 won for a fast Internet connection. Expats in Korea can save a lot of money just by cooking their food that will run them a grocery bill of about 250,000 a month. Koreans rarely drink western wine, but local brands are quite popular beginning at about 5,000 per bottle. There are many supermarkets in Seoul, but a westerner may have a hard time finding familiar food items. 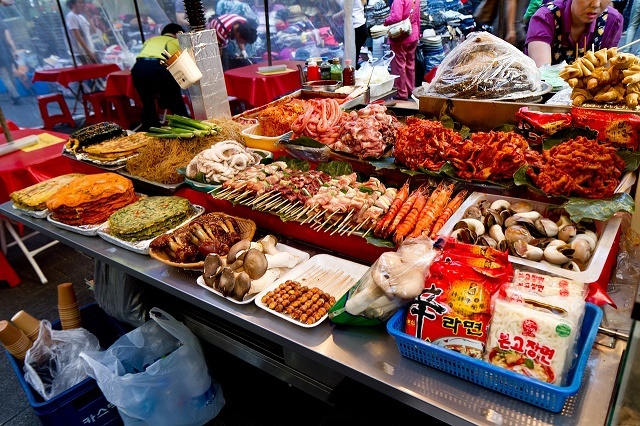 There are specific areas, however, such as Yongsan, where expat-dedicated grocery stores can be found. Restaurants are also fairly affordable. A single meal can cost anyone about 7,000 - 12,000 won at a Korean restaurant while western franchises can have you paying from 10,000 - 20,000 won for a nice dinner. Getting around Seoul on public transit can be either of three ways or any combination - by taxi, subway or bus. Taxis have a flag-down rate of about 1300 - 1600 won and charge some 500 won for each kilometer traveled. By subway, one pays about 700 won for a typical downtown ride, and 1400 won towards the outskirts. Buses can come in three types - local buses, which cost around 1,050 - 1,150 won for downtown trips, long distance buses, which will be around 700 won, and the Seoul City Tour Bus, which charges flat fees of 5,000 won for either day or night trips and 8,000 won for whole day trips. From being the world's fifth most expensive city in 2005, Seoul is not even in the top 10 this year, making it significantly friendlier to expats. Housing prices, however, are still something to muse over while those of basic commodities have become more affordable.